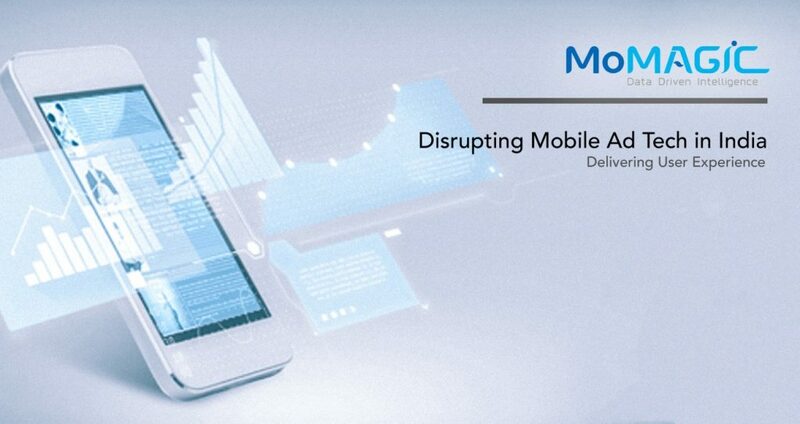 In a report released on Tuesday, 26th March 2019 by MoMAGIC Technologies titled Disrupting Mobile Ad Tech in India: Delivering User Experience, 84% respondents stated a jump in their budgets for Mobile Ad spends within the spectrum of digital marketing. “Mobile advertising in India is all set to take a quantum jump in the next two years with more and more Indians, moving to consuming content especially videos on their mobile phones. With mobile data prices in India being the lowest in the world, advertisers and marketers have changed their strategy to get quantifiable results with deep user insight,” Mr. Arun Gupta, CEO and Founder MoMAGIC Technologies said. Survey also indicated that for over 10% of the respondents ad spends on mobile has remained same. The survey also brought to the fore the fact that Mobile advertising as part of the digital ad spends is still below 50% for 64% of the respondents. Only 23% of the respondents said that their mobile ad spend as part of the digital ad spend was more than 50%. One of the key aspects to further drive mobile advertising will be the user experience (UX) for the mobile ads. Balancing advertising ROI while ensuring a superior user experience, that builds brand loyalty, has been a major challenge for advertisers and publishers. As the mobile ad ecosystem gains more prominence and increasingly becomes a necessity, it is inevitable and imminent that the conversations will evolve from ad performance to user experience. In our user survey, overwhelming 53% respondents believe that mobile ads are more effective in reaching the right target audience. But more importantly, majority of the respondents (~36%) also believe that given the interactive nature of the mobile ads (which enhance the entire user experience) drive a higher level of engagement. An important aspect of the research report implies that mobile ads in their current shape and form ruin the user experience (UX) and pushes the customers away. Videos that play automatically, pop-ups – which are intrusive, and the oversized and sometimes irrelevant banners impact the brand image. According to our survey, two biggest challenges being faced by the publishers and advertisers, currently is – effective user targeting and knowing the pulse of users. Indian advertising stakeholders, too, have realized the importance of UX and are experimenting with newer ad formats and content types. An overwhelming majority of the respondents we polled are open to, and are increasingly adopting newer ad formats like content gamification, splash ads, video and other immersive formats. A positive trend that emerged out of the survey in the report is that the entire ecosystem is becoming aware of, and is keeping the user experience at the core while designing their marketing campaigns. 84% of the respondents reveal that the ad spends on mobile have increased exponentially in the past 2 years. 60% respondents said that mobile spend as a percentage of total digital ad spend is still less than 50%. Research indicates for Indian stakeholders, the campaign metrics that matter continue to be traditional i.e. conversation rates and CTR. An overwhelming majority of the respondents polled are open to, and are increasingly adopting newer ad formats like content gamification, splash ads, video and other immersive formats. Survey was conducted among the top 70 marketing and advertising decision makers across sectors in India over a period of three months. The research and data team at MoMAGIC also mined and researched for the report including the team in Taipei, Taiwan.